Entries Open on 19th August and close on 20th October; Entry Fee £15; Late entries accepted (up to Wednesday 24th October) - £2 per class extra - please to let us know if you've sent a late entry!! British Showjumping course builder Gillian Milner has been invited to judge and the results of the class will be determined on a score basis with 4 points being allocated for each of the fences cleared and then Gillian will allocated marks out of 10 for each of Style, Temperament and Potential to give an overall score. Should there be 2 or more ponies on an equal score, then they will be split on their Temperament mark. 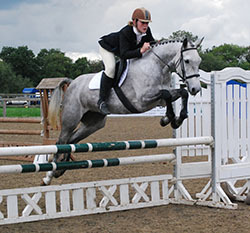 Fences in all classes will be lowered by 10cms for ponies on or below 138cms in height. 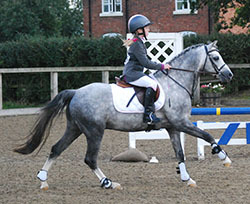 * Ponies may be of known or unknown breeding and do not need to be registered with the SPSS. Where ponies have a pedigree, please enclose a copy of this with the entry form (so that breeding information can be published). 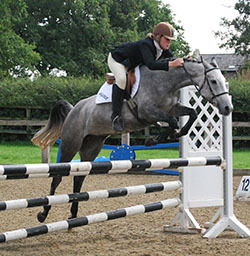 * Open to both British Showjumping (BS) registered and non-registered ponies, owners & riders need not be BS members. 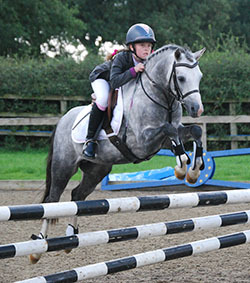 * Riders any age (including adults); size of rider to be appropriate for size of pony. * To be run under BS rules (including those on tack & competitors dress). * Protective Headwear must be worn at all times while mounted (but does not have to have a BE or other "hat tag"). 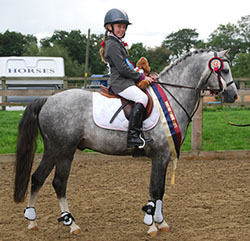 5 year old Rotherwood Signature and 8 year old rider Maisey Sloan, proudly modelling their many rosettes! 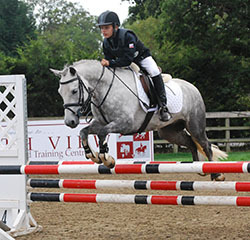 Ken Pritchard, the Anglesey-based trainer and father of international pony show jumper Christie Pritchard has generously donated a lesson to the winner of the 6 year old class. Taylor Croke, a young Irish trainer based in Anglesey has also generously donated a lesson to the highest placed Pony Club member. Taylor is excellent with juniors and will travel (within reason!) to give this lesson. 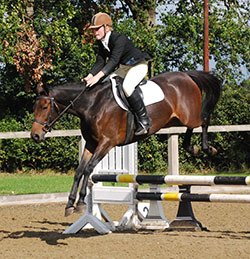 Acre House Equestrian, The Plassey Leisure Park, Eyton, Wrexham, LL13 0SP Tel: 01978 781242, have generously donated a £30 voucher to the highest placed Mountain & Moorland registered pony.